The time for our premiere is approaching! Save the date: 26th of January at Wilminktheater Enschede and then the tour in Netherlands beginns! Amazing cast, an always inspiring conductor and a great director are one of the few reasons that make me happy in these production! Here you can enjoy some moments from the rehearsal at an aerly stage of the preparation! A very full season ended with the best way, a succesful debut at the wolrd's biggest music festival the BBC PROMS! The concert was live broadcasted from BBC radio and you can hearit here http://www.bbc.co.uk/radio/player/b04cb63f, where it will be available for 4 weeks. Have a nice summer and stay tuned for the new season!! 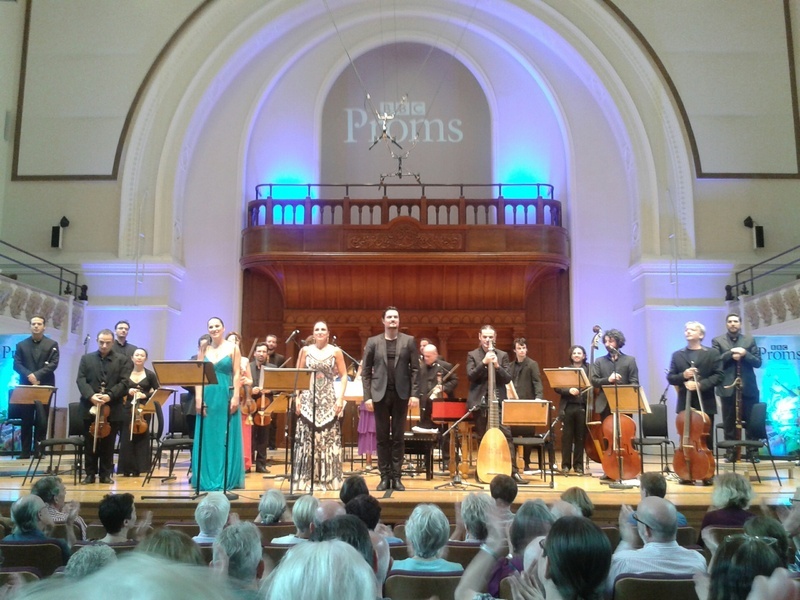 Love, intrigue and passions run rampant in the mythical court of Ancient Persia: With this dramma per musica, by Italy’s favourite Saxon, Johann Adolph Hasse, the Athens Festival celebrates the 150-year anniversary of the Ionian Islands’ union with Greece. The popular libretto by Metastasio, on which a total of 32 composers have experimented – among them Handel – had nagged at Hasse for decades, and the Dresden version (1763), which was selected by George Petrou and the award-winning Armonia Atenea, was penned by the composer at his most mature phase. Celebrated countertenor Max-Emanuel Cenčić makes his international debut as director at the Athens Festival, with an impressive production that will also be presented on top stages across Europe and will be recorded by DECCA. The famous Hold me tight waltz and other wonderful melodies by Sakellaridis (a leading Greek operetta composer) bring to life all the carefree charm of the “Athenian Belle Époque”. The Armonia Atenea and George Petrou have once again delved into the archives to revive a forgotten masterpiece. Another opportunity, that of the customary Christmas Concert at the Michael Cacoyannis Foundation in Athens, gave the images, the emotions and several years of study the chance to be expressed on stage. Not, however, with yet another Debussy concert, but with a dramatised musical story, which tried to recount the composer's diversity, his music's sensitivities, his relationship with impressionist painters and symbolic poets, his tempestuous friendships and affairs, the love for his young daughter. After a beautiful, warm and relaxing vacation the new season began allready with a very special and honouring event for me. The Greek National Opera invited me to sing in the concerts in Honour of the greatest of all singers, Maria Callas, on 15th of September at Kotzia Square Athens. This was really a tremendous honour for me. September finishes with the end of the recording of my new CD which will be released in December. Last year's very succesfull performance about the life of Claude Debussy will be on CD, where i have the pleasure to sing some of the most famous songs of the composer, such as "Beau soir' , as well as excertps of one of my dream roles, that of Mélisande. The rehearsals for Rossini's Cenerentola have begun and i have to admit that i really enjoy to play the bad sister for once, and not as usual the sweet, handsome girl!! So this time i will be bad under the direction of Rodoula Gaitanou and musical direction of internationally renowned George Petrou. Many Concerts follow: C-Moll Messe, Oratorio de Noel, Johannes Passion and more, in Athens, Brussels, Thessaloniki a.o. with great orchestras such as Armonia Atenea and Thessaloniki State Orchestra. And o fcourse i wll not avoid the "sweet girl" roles: Zerlina once more in GNO, in the famous "suitcase opera" that goes around Greece, giving the opportunity to everyone in Greece to enjoy opera. A greek Operetta follow at the Athens Megaron, "Pic nic" of Th. Sakellaridis, with Armonia Atenea under George Petrou again. Teaching also started of course! As last year, i will teach in Kodaly Conservatory and Conservatory of Classical and Contemporary Music where i will take over the Opera Studio. And that is the beginning! Just stay tuned! Have a very creative Season! The Greek Turkish Youth Orchestra (GTYO), composed of 50 talented young Greek and Turkish musicians and now in its sixth successful year, will perform under the auspices of the Greek Ministry of Foreign Affairs two major concerts in Greece and in Turkey in July 2013. 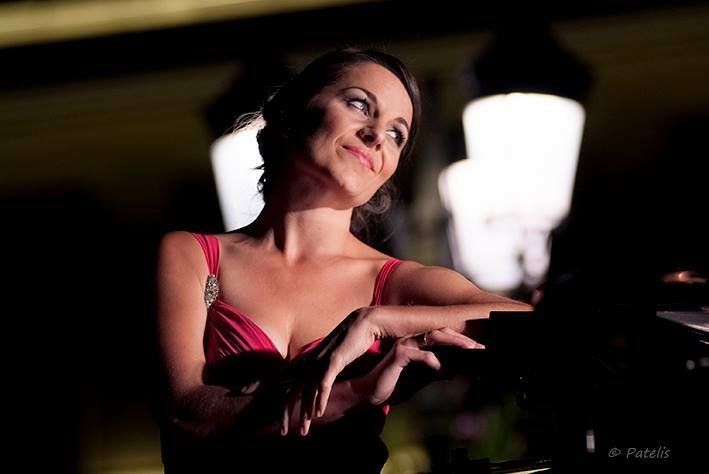 The GTYO will host the highly praised Greek Soprano, Myrsini Margariti known for her agile and youthful voice. She will sing alongside the orchestra in the Homerio theater in the island of Chios and at the fortress of Sigacik in Seferihisar.The musical director for the two concerts will be the much acclaimed Turkish Maestro, Cem Mansur. “The orchestra aims to unite different musicians under the belief of friendship, harmony and music as a common language” said Leni Konialidis, president of the Greek Turkish Youth Orchestra. The Greek Turkish Youth Orchestra was created by Mrs. Leni Konialidis, a dedicated music lover following a collaboration with the the University of Bilkent in Ankara. The orchestra was created in the summer of 2008 and performed in Turkey (Ankara and Istanbul) and in Greece (Athens: Odeon of Herodes Atticus; Patras: Roman Theatre). In the summer of 2009 Greek and Turkish musicians reunited once again with violinist Ilya Gringolts. The orchestra performed in Athens at The American College, in Katerini where it performed at the Dion Theater and in Kavala. On September 3, 2010, the Greek Turkish Youth Orchestra gave an unprecedented –free of charge- concert in the atrium of the Acropolis museum. The next day the orchestra travelled to Nafplion where it performed the same programme on the Arvanitias square. In August 2011 the Greek Turkish Youth Orchestra gave a unique performance at the ancient fortress of Sigacik in Seferehisar. In September 2011 the GTYO performed in the frame of the famous Dimitra Festival in Thessaloniki. In 2012 the orchestra was hosted by Turkey in Cesme and Seferihisar.